« Do Your Clients Really Need to See EVERY Available Property? There was a time when a person’s word and his / her hand shake meant a lot. They were both binding and had real meaning. Today, with vast global cultural differences, various interpretations of words, lengthy and extremely detailed contracts, a highly litigious society, and some plain-old dishonest people, conducting business on a hand-shake is not only inappropriate, it’s downright dangerous! Remember that two honest people, with the absolute best of intentions, can easily misunderstand each other and disagree. If this is true, then why do some commercial real estate brokers still conduct business on a hand-shake? Why do they work on behalf of companies to negotiate transactions without so much as a simple document describing the roles of client and service provider? Are they overly trusting? Are they lazy? Is there an advantage to working in this manner? In many states, a real estate broker working without a document indicating which party he / she represents may be in violation of license law. Such action could subject the licensee to fines, temporary or permanent license suspension, or worse. In other states, the role of a real estate broker, and therefore his ability to serve his customer as intended, may be predetermined by law, irrespective of documentation. So, at a time in history when creating written records and documents is easier and quicker than ever before, why do some commercial real estate brokers still work on hand shakes? Is this simple laziness? I’ve heard some brokers say that instead of spending time on documenting their client relationships, they move directly into the deal. They say that paperwork doesn’t make them money, but closing deals quickly does. Some positively characterize this approach as being focused on the client’s needs, not their own. Is that really true? Since the best written agreements, in these instances, describe the roles, rights, and responsibilities of both real estate brokers and their clients, I don’t see how working without such a document could possibly be in the clients’ best interests. I don’t even believe it is the best approach for service providers, either! 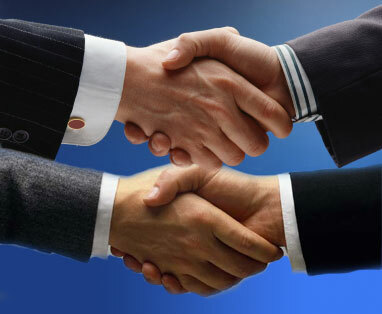 Some brokers have told me that they work on a hand shake, because their clients prefer not to sign agreements. I find this to be a weak argument. Don’t companies sign other agreements, like leases, employment agreements, purchase and service contracts? Most companies will gladly sign a representation agreement when the reasons and benefits of doing so, as well as, the risks of working on a hand shake, are properly presented to them. In fact, most companies will shy away from executing an agreement when they’re uncertain of the ability of the service provider to perform, when they lack confidence in the service provider’s experience or expertise, or when they are not yet committed to a project. Are real estate brokers aware of the true implications of not documenting their client relationships? Do they know that when working on a hand shake, their relationships, and their corresponding obligations, may not be clear? Do they disclose to their clients that without proper documentation, their relationships may be different than intended? Do they explain the increased potential for conflict-of-interest? Do they communicate that, absent a written representation agreement, a real estate broker presenting buildings to a prospective tenant or buyer may have a binding legal fiduciary obligation to represent the property owners? By not informing their clients of these facts, brokers can land themselves in trouble. Given the apparent dangers, why would any commercial real estate broker or his client, work on a hand shake? What are your thoughts?